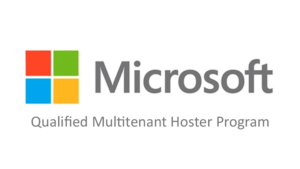 Lucidity is a Qualified Multitenant Hoster (QMTH) authorised by Microsoft to host your Windows virtual machines via Microsoft Cloud Agreement subscription or Enterprise Agreement/MPSA on dedicated or multitenant hardware. In addition, we are also authorised to host Office 365 ProPlus (including E3 and E5), Project Online Professional, and Visio Pro for Office 365 subscriptions using shared computer activation (SCA) technology. Click here to learn more about the QMTH Program from Microsoft. You are able to make a deployment choice between on-premises or Lucidity’s shared datacenter. Lucidity is an Authorised QMTH Partner, allowing you to deploy Office 365 ProPlus, Project Online Professional, Visio Pro for Office 365, and qualified Windows 10 products to your chosen cloud infrastructure solution. Which Windows subscriptions purchased under the Microsoft Cloud Agreement from Lucidity will include virtualisation rights? Talk to a Lucidity representative to learn more about Windows 10 Virtualisation and SCA.